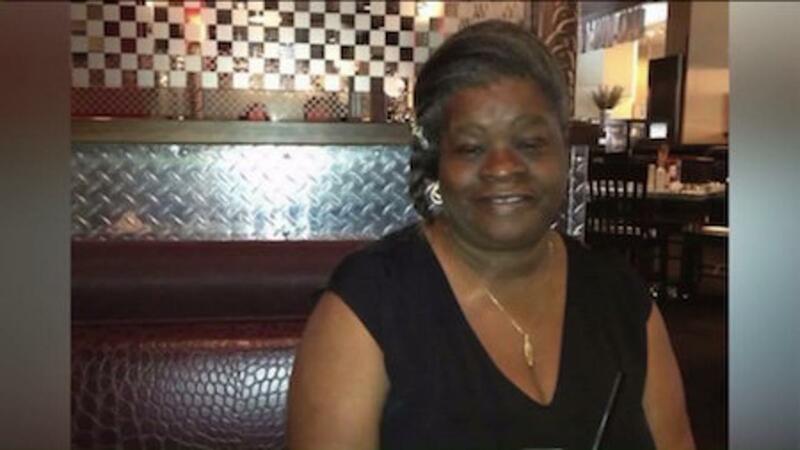 HARLEM, Manhattan (WPIX) — Odessa Simms, 61, played dominoes and watched the pinochle games here in the 145th St. park for as long as Harlem residents could remember. But her daily routine led to her death. Police say Colonel Charles Young Park was packed with more than 1,000 people for a cook-out when shots rang out close to midnight Saturday night. Odessa, a married mother of five and grandmother of 12, was shot once in the neck by a stray bullet. She was pronounced dead at Harlem Hospital. "All I see was the stray bullet hit her in the back of the head, I called 911," Clarence Smith, another card player, told PIX11. "It was a shock," Kevin Crosby, the victim's brother-in-law, told PIX11. "Something that you would never expect, that this person would die this way." Odessa and her husband had lived around the corner for more than three decades and everyone on this block of West 142nd St. knew Odessa Simms and loved her. "She was a beautiful woman, a caring soul," Dominique Crosby, the victim's niece told PIX11. "Always such a joy in life." At a prayer vigil to honor the memory of Odessa Simms, organizers called for an end to the gun violence. Police sources say a man in his 30s was seen fighting, chasing and shooting at a another man, also in his 30s. According to police sources, Odessa Simms was clearly not the intended target. "We have a mother in our community lose life just while sitting outside enjoying herself," Iesha Sekou, CEO and Founder of Street Corner Resources told PIX11. "This has got to stop."